No little lambs strolling along quiet waters or bedding down in green pastures in Psalms 38. This is the poem of desperate people, crushed by their own sins, and with no hope from family or friends. They can barely breath the last two verses expressing faith that salvation comes from the Lord. 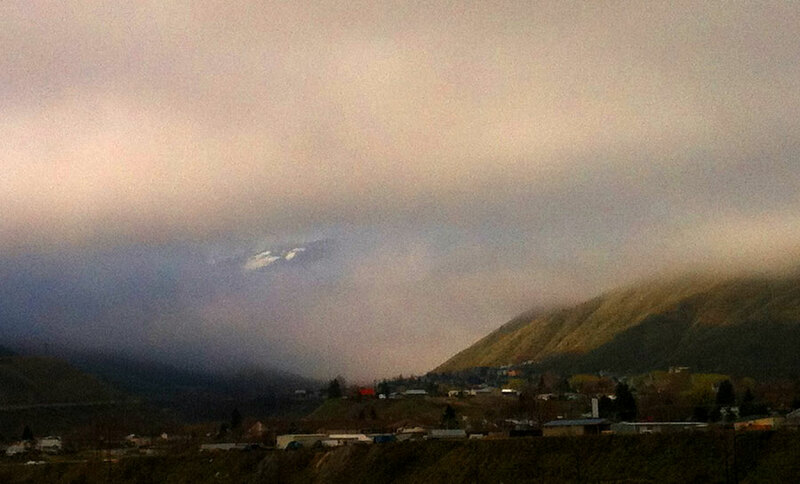 This morning we woke to thick overcast, but by mid-morning breaks appeared in the clouds over the mountains.